Tour Overview: Amazing art, history, architecture plus breathtaking sceneries, fabulous food, fantastic accommodations and excellent guides await you on one of the most enjoyable escorted tours of Italy, our Rome and the Amalfi Coast tour. 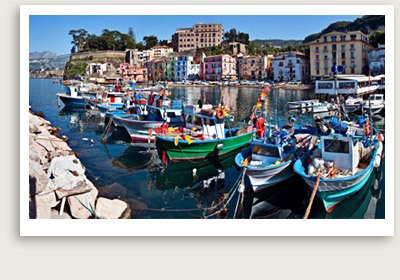 Join Well Arranged Travel’s Italy small group tour of Tuscany & The Amalfi Coast. 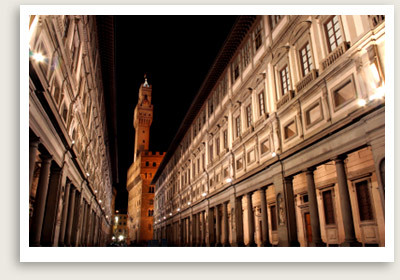 You will first have three nights in Florence where you will be based and you will also enjoy day trip Chianti. You will also have stop in Orvieto in Umbria as a bonus before continuing to south to Sorrento where you will be based for three nights. 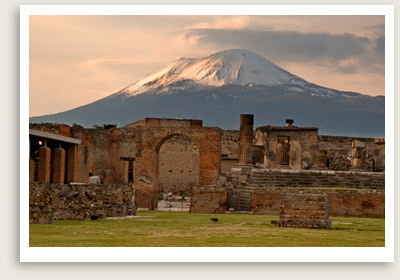 Pompeii is also planned with a local expert guide providing historical background. The picturesque Amalfi Coast rewards us with incredible views. You will stay in beautiful and upscale Sorrento, where you will have the pleasure to explore own safely and comfortably, as your hotel facing the sea is in the heart of the city. 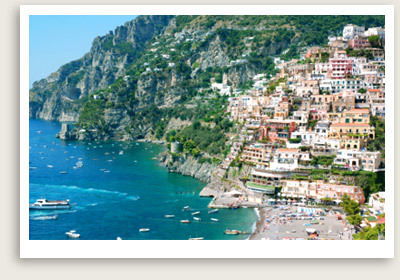 You’ll tour the famous seaside resort towns of Positano and the town of Amalfi. You will also ferry over to the sun-drenched island of Capri to explore with our guide to see ruins, do some shopping and enjoy a fabulous lunch. This is a tour for those who love Italy. Join us. Optional Tour: Rome, at the end of this tour. A private transfer will take you from Naples to Rome. If your choose to do this, your departure airport will be Rome, not Naples. Gratuities: hotels, tour guides, restaurants and drivers. Airport transfer on arrival day and departure day. NOTE: Activities or order of activities are subject to change. After a great breakfast at our hotel, we will meet our local expert guide for an interesting walking tour of Florence. You will get to know Florence beyond the touristy sites as you tour various artisans’ neighborhoods. While some artisans now employ newer techniques to produce their crafts, many still follow old traditions . We’ll start our tour navigating the narrow medieval streets in Oltrarno, home to many artisans’ workshops. Artisans include a silversmith, Florentine style metal works, sculptor, bookbinder, wood workers, jewelry maker, shoe maker and more. Interested in creating your own perfume? Let us know. NOTE: Those of you who have not been to Florence before will visit the Accademia museum after lunch. 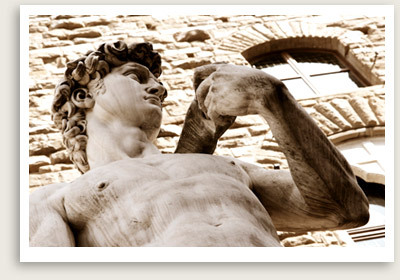 Accademia is home to some of Michelangelo’s works of art, including the Statue of David. After breakfast, we’ll check out of our hotel in Florence and travel to Sorrento in our luxury van. Sorrento is your next home base, positioning us for touring of Sorrento, Capri and the beautiful Amalfi Coast. On the way, you will stop in Orvieto, one of the most beautiful cities in Umbria. This medieval city dates back to the Etruscan period, 9th century B.C. Orvieto is also known for its wine, Orvieto Classico. It also has a beautiful Gothic church with important works of art – amazing frescoes by Signorelli and Fra Giovanni. Also before you arrive in Sorrento, our expert guide will conduct a private tour of Pompeii, which was established in 12th century B.C. Thirty feet of hot mud and volcanic ash buried the Roman city of Pompeii completely when Mt. Vesuvius erupted in 79 A.D. Your private tour of Pompeii will show you villas, baths, storefronts, pizza parlors, forum and other artifacts from Pompeii’s heyday. Early this morning, we’ll take a ferry to the island of Capri. Inhabited since early times and later by the Romans – starting with Emperor Augustus and Tiberius, the island has been attracted. Our expert tour guide will conduct a private tour of Capri. You will hear about Capri’s interesting history and the notorious emperors who the island their home away from Rome. You will love Capri for its captivating views, the beautiful squares, fun shopping, its narrow streets for nice strolls and the outdoor cafes to simply watch the world go by. You will taken to our favorite lunch spot in Capri. Beautiful terrace, excellent food, great wine. 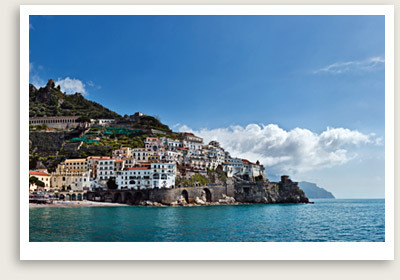 Today, we will tour the Amalfi Coast. It is a relaxing tour of world-famous holiday seaside resorts with spectacular views. Our first stop in the town of Amalfi, a UNESCO World Heritage site featuring the St. Andrea’s cathedral, whose 57 steps will reward you with a great workout and view. The city is also home to Museo della Carta, which introduces you to the art of papermaking for which Amalfi is known. Our next stop is tour of Positano. The laid-back town of Positano offers many photo and shopping opportunities, between its multi-colored houses clinging to the cliff face overlooking the bay, and the fashionable boutiques along its narrow street leading down to the beach.